We proudly introduce Kobe (Wagyu) beef to North American consumers. Our Kobe beef is 100% grass fed and Organic on New Zealand pastures which results in beef rich in CLA's and free of chemical spays or pesticides. And as with all our meats, it is hormone and anti-biotic free. The finished product is an incredibly flavorful and healthy tender meat. 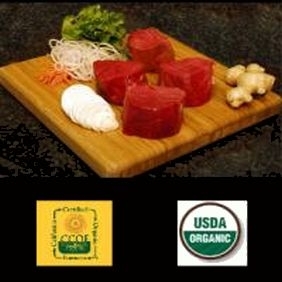 We hope you will try this incredible healthy beef which has received acclaim by some of our nation's 5 star chefs.